All the cafes up to this point have been small, quiet places where the locals hang out and you don't see a lot of tourists. 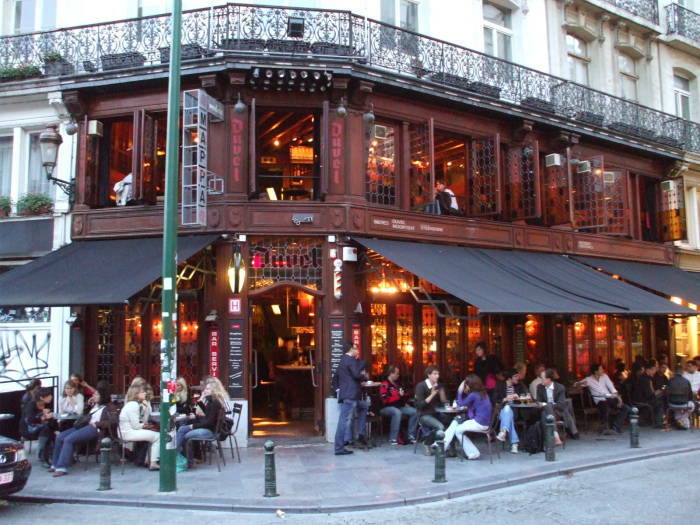 Mappa Mundo is large, noisy at times, but still most of the clientele is Belgian if not actual Bruxellois, or at least that has been my experience. 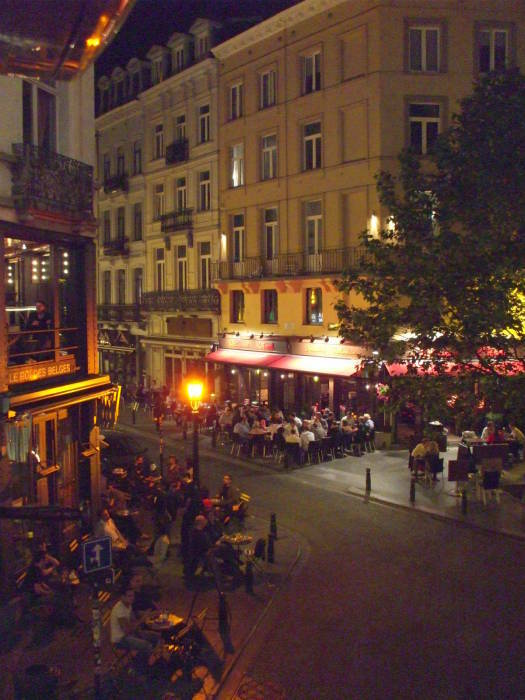 Mappa Mundo is at Place St-Géry, a busy area in the evening. 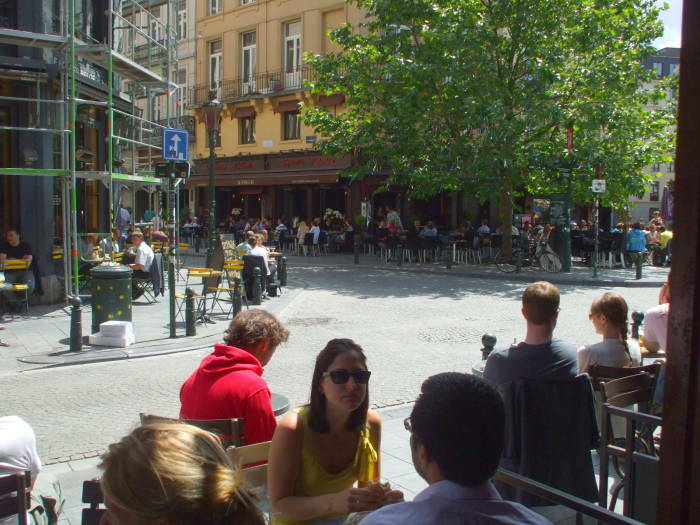 From the front of the Bourse, look across Boulevard Anspach to see three streets fanning out. The one on your left is Rue J. Van Praet. 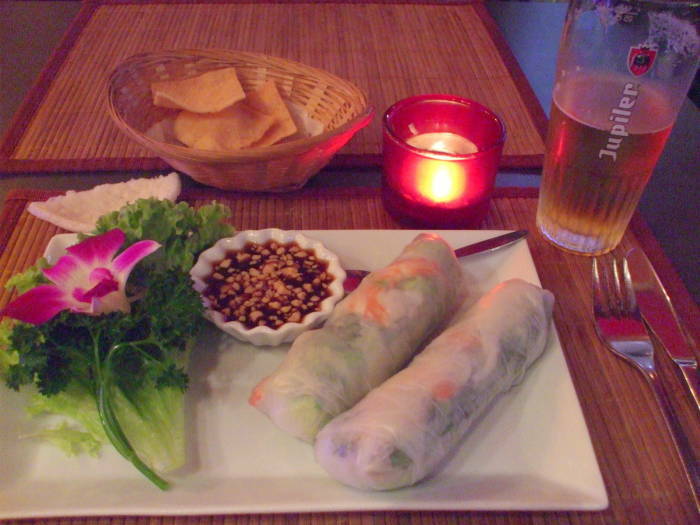 It is lined with restaurants, many of them Thai or Vietnamese. Place St-Géry is at the end of the block. 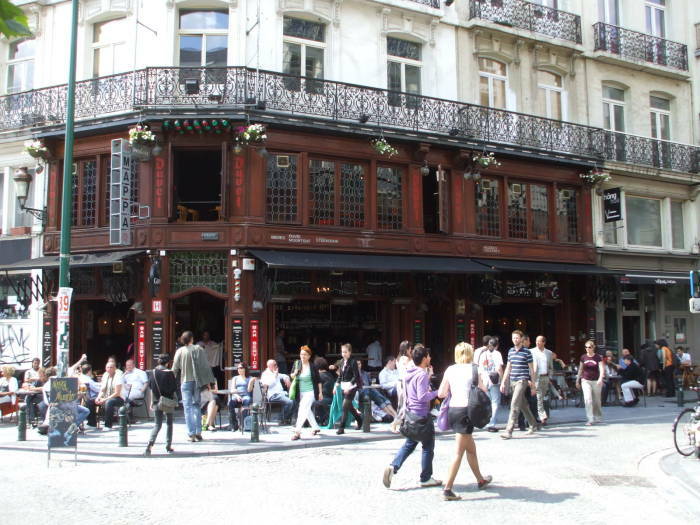 The picture below is looking across Place St-Géry to the exterior of Mappa Mundo. 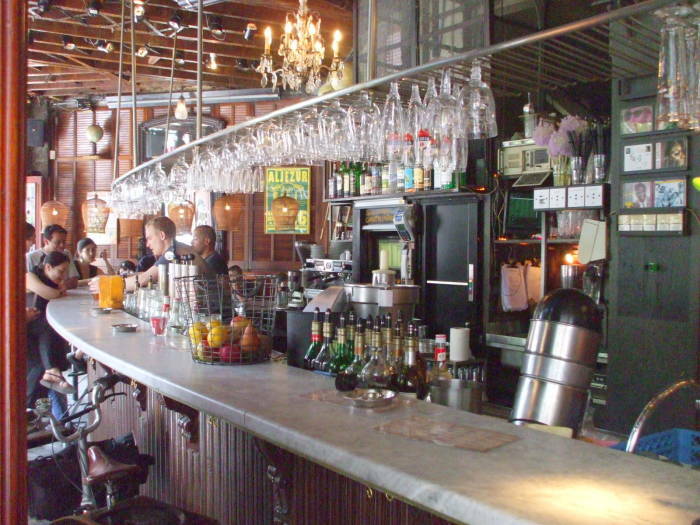 There's a marble-topped bar downstairs, with stools at the bar and seating in a room off to the right. 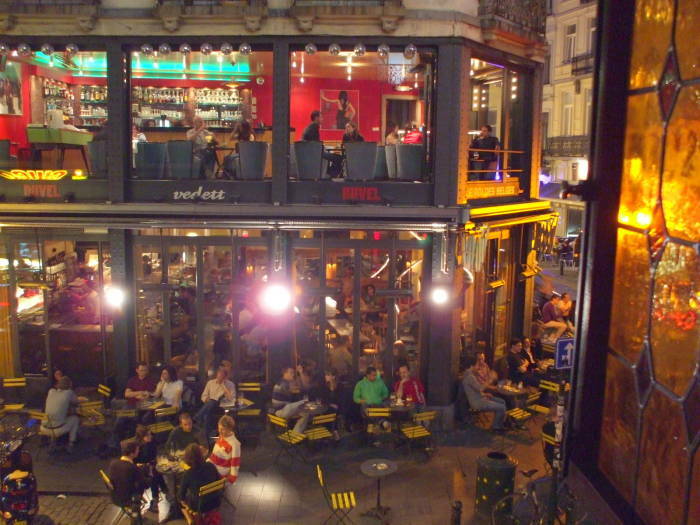 Above is a view from an interior seat near the bar, looking over the sidewalk tables and across Place St-Géry to two other bars on opposite corners of Rue J. 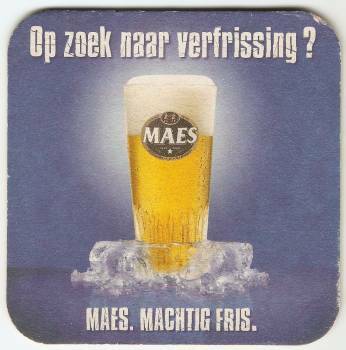 Van Praet. Things get busier as evening falls. Here is the view from the upstairs bar area in the evening, looking across at another multi-level bar. 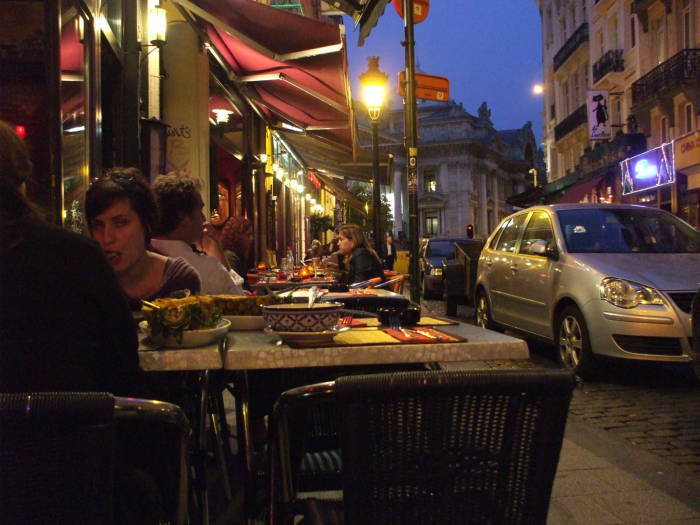 The sidewalks along Rue J. Van Praet and Place St-Géry are filled! 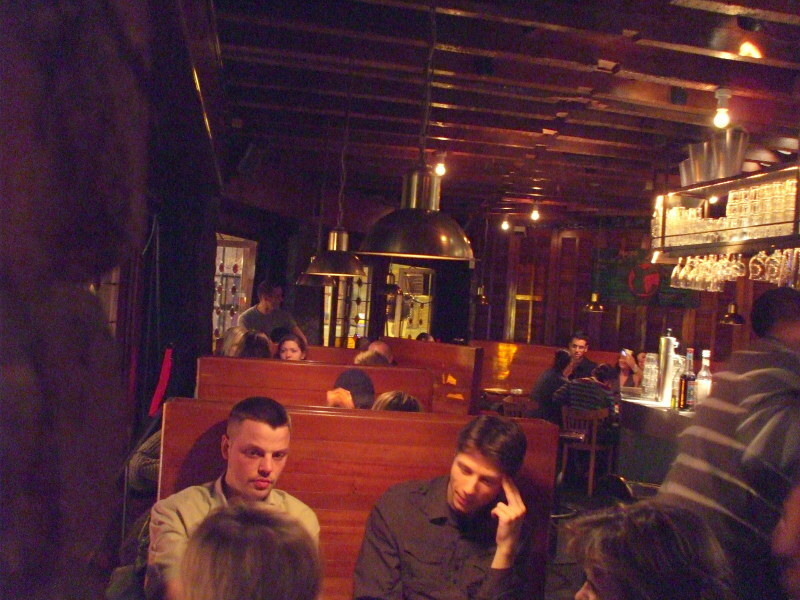 The upstairs room at Mappa Mundo has a number of booths in addition to individual stools. Rue J. Van Praet has a lot of places to get dinner. Most are open until 2200, or 2300 on weekends. 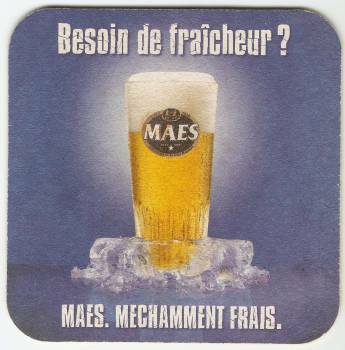 Jupiler is one of the ordinary mega-brewery products in Belgium, along with Maes.